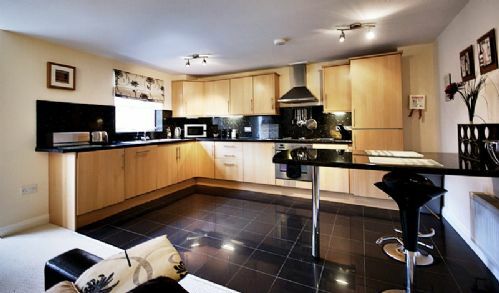 14 Manor Court is an immaculately presented modern apartment on the ground floor of a recently built development. The property is bright, spacious and is tastefully decorated with co-ordinated furnishings throughout. The property is excellent with nice location and service. I totally recommend new comers to York to consider it as an option. We have stayed at Manor Court over a number of years now - the apartments are ideally located just outside the city centre (approx 15 minute stroll to Parliament Street). It is a relatively new building with modern facilities - plenty of fast food outlets nearby (the Fish and Chip shop is one of the best IMO) . The BP garage across the road is also a Marks and Spencer shop so you can also get ready meals or fresh food there if you need to. There is a dedicated parking space and I think you can ask for an additional car permit if you need to. At first, I would like to thank the staff at In York holiday (Kim), they have been very kind and honesty in dealing. The owner of the property was friendly and is very helpful to us especially as we are visiting York for the first time. I strongly advise everyone who comes to York to deal with them, and I will advise all my friends as well. Great place to stay. A home from home. Great cafe nearby for a late breakfast (the Moto Cafe) and the Petrol station over the road is also a Marks and Spencers, so it's easy to buy any supplies you might for your stay. Stayed at 14 Manor Court for a week, just outside the of the city centre, but within easy walking distance. Local amenities close by and only about 20 minutes walk into York. Plenty of places of interest and great places to eat out. We stayed in manor court for our 1 week holiday in york,apartment is very clean and comfortable with plenty of shops,takeaways and bars close by,approx 10 - 15 min walk to York centre,a nice apartment we enjoyed our stay. Nice apartment , nicely furnished as in the photos . Strongly recommended for families . We stayed here for 6 nights with grandma and 2 teens and all had a great time. The house is very clean and spacious. 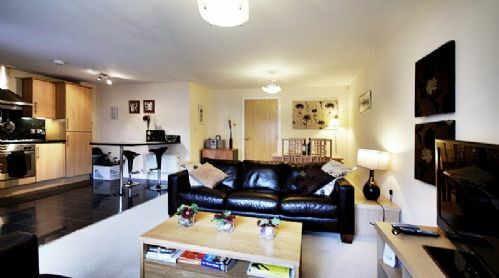 This is a nice apartment,just 15 minute stroll to the City Centre.-York is very flat no hills to contend with!! Parking space on site and you can park a second vehicle outside the complex on Lawrence Street overnight between 6pm and 8am if you have a second vehicle. Property is spacious with 2 good size bedrooms and a sofa bed if you need one. One little moan about the bedroom furniture, the wardrobes are a bit lightweight and wobble when you use them!! But great to have unlimited wifi and BBc i-player on the TV. This is our third stay at this well equipped & comfortable apartment. We also find the parking & short walk into the city very convenient. We found the apartment very comfortable and well equipped. Being ground floor was a plus for seniors. The ensuite shower is very small so we used the shower over the bath. Very good parking at the property and a short walk into the city centre was another plus. 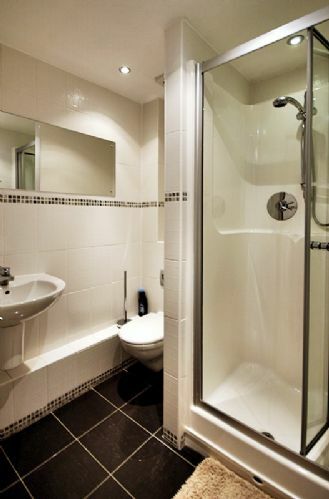 In York Holidays was very efficient to deal with in booking the property. We would highly recommend this apartment and would stay there again. York is a great City to visit. Lovely apartment with all the amenities you could need. Stayed here for a week (2 adults and 2 teenagers). Apartment is on the ground floor and has allocated parking space. Bright and airy, open plan living/dining room and kitchen with everything you could need. 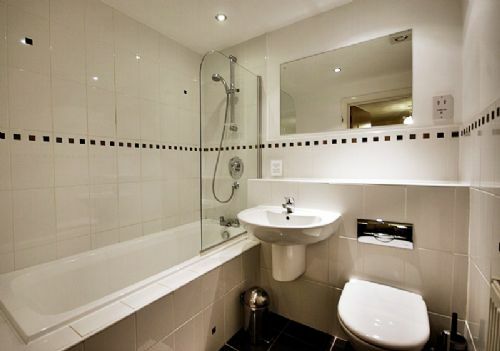 Bedrooms, bathroom and shower room are all beautifully decorated and clean and tidy. Easy 15/20 minute walk into the centre of York so great location. Jan, the owner, is very helpful. Thoroughly recommend. Lovely apartment, great location, around fifteen minutes easy walk into the city.Two minute walk to a garage for basics or a couple of minutes in the car to Waitrose or Morrison's (cheap fuel). The apartment was spacious and well appointed, with everything we needed. The owner was welcoming and friendly and easily reached by phone if required. We enjoyed our stay very much. 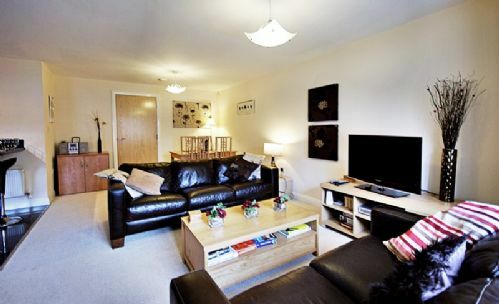 Lovely large ground floor apartment accommodated 2 couples + 2 babies. Large kitchen with loads of items for cooking / eating. We arrived just as the floods hit and the owner was in touch to check all was ok. Very quick response time from owner and InYork holidays. It is an easy 15-20 minute walk into the city centre. Amenities close by, supermarkets / take aways / pubs. The flat is on the ground floor,so no stairs. It is finely decorated, with an enormous living-dinning room and kitchen. Comfortable beds. Clean new bathrooms. idealy situated 8 mins walk from walmgate bar .14 manor court very moden, clean, peaceful ,all round good choice,rose and crown good for ales and food would visit york again and 14 manor court. Lovely property and great location! 14 Manor Court is a lovely well equipped property and in a good location close to York city centre, Grocery stores etc. The little touches such as providing coffee, tea and basic cooking tools like oil, salt and pepper, herbs etc. were really appreciated. Also , the owner kindly texted me to make sure everything was all right. Great customer service! We would definitely recommend this place and would be happy to stay again. We stayed in this apartment for 4 nights in September 2015. The apartment was excellent in every way nothing we required had been omitted. 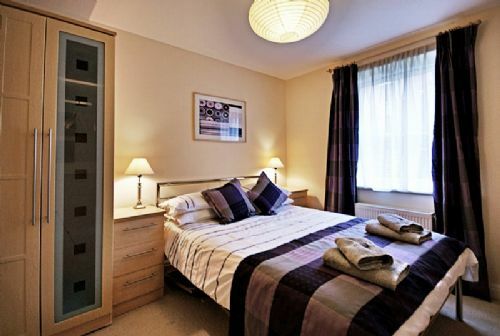 Beautiful and tastefully furnished, comfortable beds, bathroom plus en suite everything had been provided. There was tea and coffee even salt, vinegar etc in the cupboard. Hair dryers in both bedrooms. The outside area was very clean and private parking was a bonus. Buses into York very frequent although walking to City centre only took 20 minutes. Owner very pleasant and on call if we had required. All in all would highly recommend. Stayed at 14 Manor Court for a week, very clean with all home comforts, plenty of room for 4 persons, nice and quiet, local co-op less than 10 minutes walk, city centre about a mile walk so no need to take the car, we walked in every day, loads of places to eat in York, would recommend to anyone and would stay at 14 manor court again. 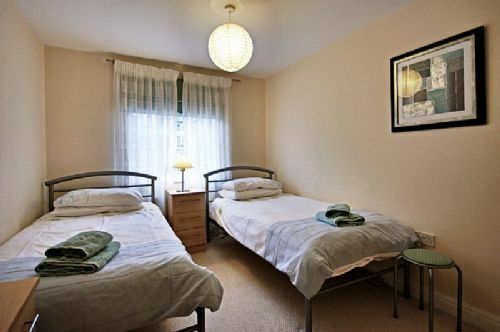 The apartment is located on the ground floor of a quiet cul-de-sac with parking space and within walking distance of all the York attractions, there is a however a regular bus service approximately 100 metres away should you need it. The accommodation itself has two bedrooms one ensuite & a separate bathroom, a good size open plan kitchen & lounge area all very well equipped & nice and clean Wi-Fi is also included.I would not hesitate in using this accommodation again and would certainly recommend it to friends & family. We find 14 Manor Court a very convenient place to stay.Only 15 min walk into York Centre & an allotted parking spot only approx 20 metres from the flat. The flat is well equippeď & comfortable. This is the second time we have stayed & certainly would consider staying there again. We had great help from Claire and lots of very useful information when booking the flat through Inyork holidays. The flat was exactly as described, very clean, spacious and a great location. The owner, Jan called as soon as we arrive to enquire if everything was as we expected and gave us the location of local supermarkets etc. We would recommend this accomodation and when we return to York will book again. Lovely accommodation with everything we needed. A real home from home, we really enjoyed our week away in York. Our only very small improvement would be that the leather couches felt a little past there best and the cushions weren't big enough to give the extra support needed. They also had a slight aroma that they needed washing. Everything else lovely , clean and tidy thank you . This was our second stay at Manor Court, and the owner put up Christmas decorations and left us a box of Quality Street, all of which were appreciated by one and all. The ONLY criticism we have is that it's a REAL pity there is no wifi in the apartment - the children got an iPad and an iPhone for Christmas, and couldn't use either until we got home to Paris. Plus, without smartphones, we were without internet for 5 days, which is very far from ideal. I booked this appartment for a two day stay in York for my husbands birthday ..its modern and new and really really clean - so immediately it was scoring high on my list of things I like ..,I arrived after a five and a half hour trip in rush hour from Surrey ..it was extremely cold outside so all I wanted to get warm - the heating was super efficient and within 20 mins we were too hot .. The bathrooms had lovely power showers and plenty of hit water ..
A very pleasant stay in a well equipped and clean flat in an ideal situation for the city. Our only complaint was that the tools would not fit the vac. We have informed Mrs Cresswell of this problem. Having this been my third stay at 14 Manor Court I can highly recommend this property. 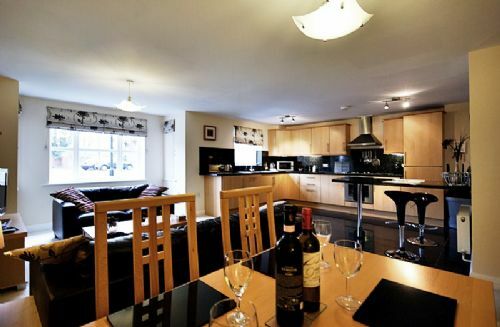 It is situated in a quiet location; close to York City Centre and major attractions. It is furnished to a high standard; has plenty of room and is very comfortable. Would definitely stay at this apartment again if visiting York. I have stayed at 14 Manor Court more than three times. Its the best place to stay. And its very convenient.I look forward to stay there again this coming December.